I attended the Viva Vienna! 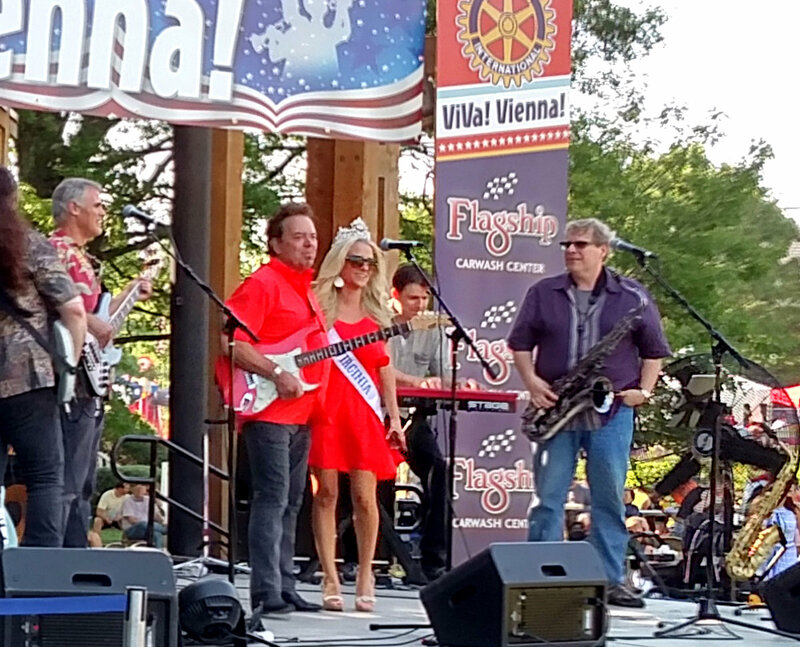 Festival over the weekend, Viva Vienna! 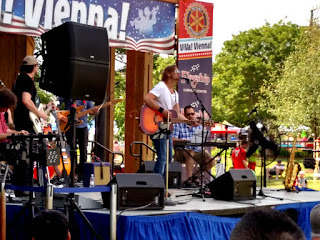 is held every year in Vienna, Virginia, as a celebration of Memorial Day. There are carnival rides, food, craft and business vendors, and lots of music! I didn't get to hear them all because I was only there two days, and there are three stages, so some of the performances overlapped. 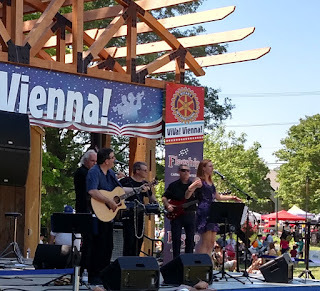 Anyway, here's some of what you could hear at Viva Vienna 2015! Please note: some of the embedded code on this page may not work well on mobile devices. Silver Line (or Silver Line Station) is a fairly new band, described as hard-hitting Americana. I guess that's about right. The most interesting part of this band is the fiddle player (Dave Kline) who gives them a unique sound, playing parts that might normally be taken by the lead guitarist. You can find their next gig by clicking HERE. "Irresponsible is an Alt-Rock band based out of Washington, DC, whose hard work has landed them headlining shows at such nationally-renowned venues as the 9:30 Club and Jammin’ Java. The quality and consistency of Irresponsible’s studio releases and live shows have established the band as favorites in the DC music community. With the release of one EP and two LPs over four short years, Irresponsible has received consistent airplay on the Local Lix hours of DC’s premier rock station, DC101. 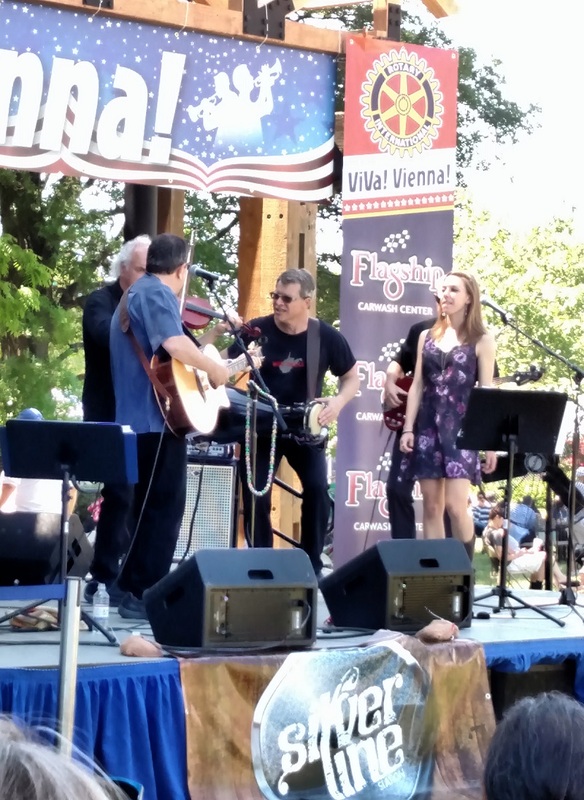 Five of their songs have been featured on the station, including the most recent single, “Burn With Me.” Irresponsible’s blend of lighthearted fun and serious musicianship sets this group apart from the rest!" I know it sounds like a bunch of hard-core head-bangers, but much of what they played was mainstream—and that's not a criticism, either. 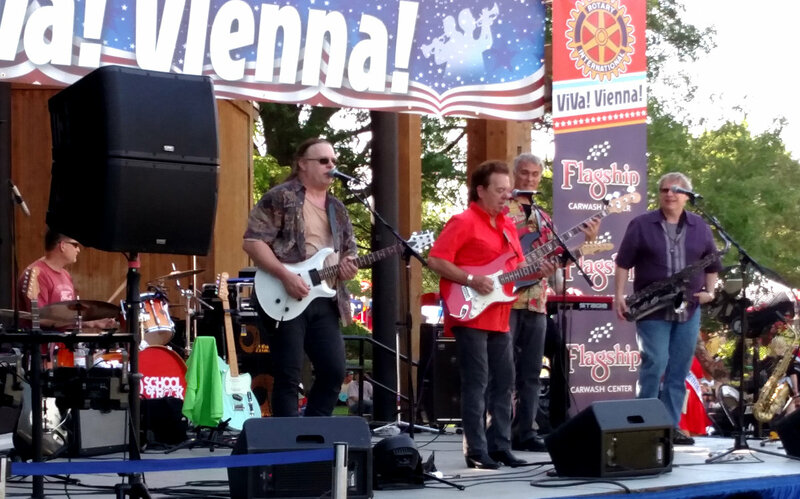 Ken Wenzel is a saxophonist turned acoustical guitar player doing a bit of country, rock, and jazz. When it was his time to go on stage, he walked up to the mic and just started playing—no introduction of the song. That seems to be his style. The whole band was there, though he sometimes goes solo. And, yes, he did play the saxophone! When Jr. Cline and the Recliners took the stage, my first thought was, "Wow. What a bunch of old geezers. They must be my age." But let me tell you, the geezers can play! They do a R&B / Soul / Rock mix, and even though a lot of tunes are oldies, they do a great job. The band also did some original songs, so they're not just doing other folk's stuff. Here's Jr. Cline introducing Miss Virginia. I'm not sure why she was there, but that's okay. 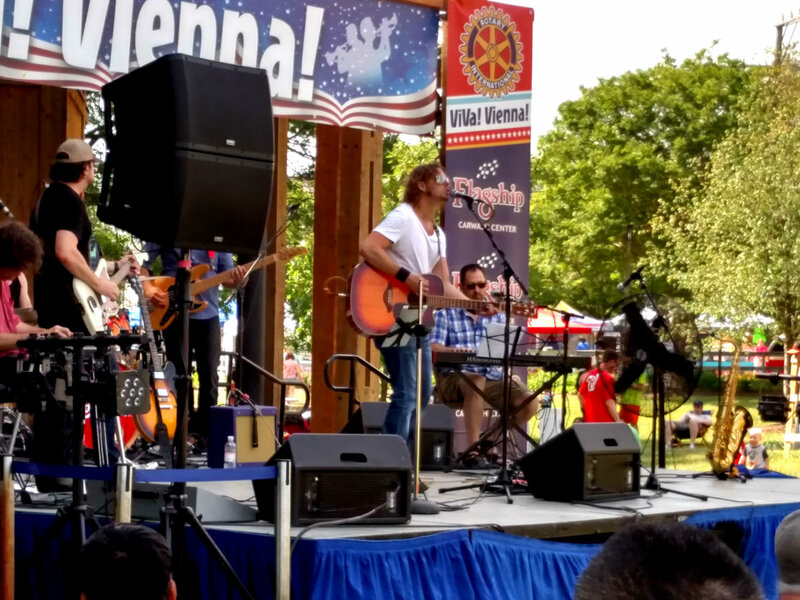 The final act of the festival was Suburban Hearts, billed as an acoustical singer/songwriter duo. They do have a third person in the group now, playing bass guitar. I didn't catch his name. They're sort of a folk/rock/country mix, and it works well for them. I didn't get a picture, so I stole this one from their website. You can find out where they are playing on Reverbnation. If any of these bands look interesting, visit their websites. Most have a few songs posted for you to listen to. Better yet, go see them live! Great times! 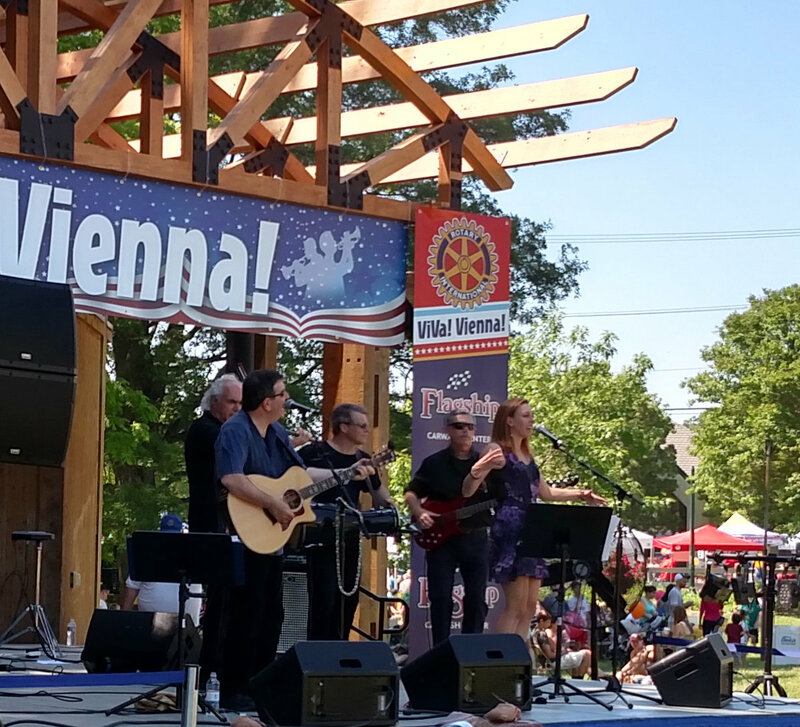 Northern Virginia can be counted on as a great venue for the Arts. All of them. Even though I didn't love living there, I wouldn't mind visiting again because of festivals just like this one. It's a great place, especially Vienna - if you can afford to live there. It's even better if you like highway gridlock! But once you're there it really is a great place to be. Nice houses with decent lawns, lots of trails, parks, and ponds. And it's just a hop and a skip from the Kennedy Center and other theatres. I'm glad you stopped by to read - I haven't been in touch much lately. Too much to do and very little writing getting done!